The stunning new novel from the international #1 bestselling author—a searing, spellbinding blend of cold-case thriller and psychological suspense. Two girls are forced into the woods at gunpoint. One runs for her life. One is left behind … Twenty-eight years ago, Charlotte and Samantha Quinn’s happy small-town family life was torn apart by a terrifying attack on their family home. It left their mother dead. It left their father—Pikeville’s notorious defense attorney—devastated. And it left the family fractured beyond repair, consumed by secrets from that terrible night. Twenty-eight years later, Charlie has followed in her father’s footsteps to become a lawyer herself—the ideal good daughter. But when violence comes to Pikeville again—and a shocking tragedy leaves the whole town traumatized—Charlie is plunged into a nightmare. Not only is she the first witness on the scene, but it’s a case that unleashes the terrible memories she’s spent so long trying to suppress. 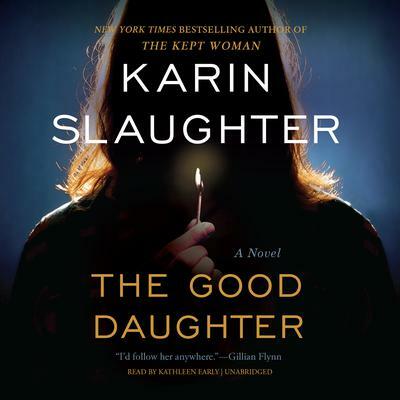 Because the shocking truth about the crime that destroyed her family nearly thirty years ago won’t stay buried forever … Packed with twists and turns, brimming with emotion and heart, The Good Daughter is fiction at its most thrilling. While the plot itself was intriguing, the book was horribly drawn out. The tiniest details were given that did not always prove to be relevant. I enjoy getting to know the characters and showing some depth there, but this was a bit too much. Likewise, while I enjoy changing character perspective, this just seemed repetetive at times and got a bit annoying when it would return to the same flashback. Although this is supposed to be a somewhat dark murder mystery novel, I really could have done without the excruciatingly detailed narration of a child being raped.